If you are considering forming an LLC or investing in an LLC, you may be aware that it isn't unusual for legal, tax, and other business advisers to encourage their clients to incorporate in the state of Nevada by forming a Nevada LLC even if their business is located elsewhere. While that may seem strange, it can be a sound strategy under the right circumstances because Nevada LLCs offer several benefits on the state level. 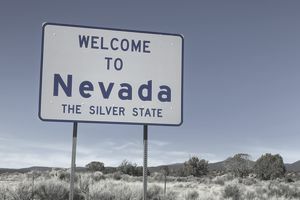 Of course, if you've opted to form a Nevada LLC and reside elsewhere, with operations in another state, you still may be subject to that state's requirements depending upon how your financial and legal affairs are organized. When you form a Nevada LLC, you enjoy the highest state privacy levels available. Unlike many other states, Nevada LLCs do not require a list of member (owner) names to be filed with the state. That means that investors can remain anonymous, using an attorney or other hired hand to serve as the person of record. You can add an extra level of security by having the membership units owned by a generically named revocable trust fund. In the state of Nevada, liability is limited to the company. As a manager, officer, or director, you aren’t normally held responsible for the company’s liabilities or obligations unless you are part of an outright fraud or sign documents in which you offer a personal guarantee on your assets so the lender can come after you in the event the Nevada LLC doesn't repay the obligation. Furthermore, unlike other states, a Nevada LLC does not require firms to file a list of company assets. That means there is no record of the assets being linked to you in any way except for your filings with the IRS, which are protected by law. This means that if you can avoid any other records linking you to the money, it is theoretically possible you could be a schoolteacher halfway across the country yet have millions tucked away in private businesses, stocks, bonds, mutual funds, and other assets in a Nevada LLC. One of the main benefits to having the privacy provided by Nevada law is avoiding creditors and lawsuits. Aggressive attorneys can't easily target the individual owners of a specific LLC if the identity of those owners is not readily available. Although not specific to Nevada LLCs, using a limited liability company to conduct operations and hold investments can have a lot of unexpected benefits that might not be readily apparent. For example, the U.S. allows entities such as limited liability companies to have their own purchase limits on Series EE savings bonds and Series I savings bonds that are in addition to the limitations imposed on individuals. That means your family LLC could invest an extra $10,000 a year in the former and $10,000 a year in the latter for an extra $20,000 in savings bond purchases per annum. Protect your assets with this special legal structure. What Is a Registered Investment Advisor or RIA?